With all the ‘80s nostalgia manifesting in the broader culture of 2017 (fanny packs, checkered Vans, Stranger Things and its amazing soundtrack) it’s sort of not a surprise that getups from the era are popular choices for Halloween this year. Google’s annual Frightgeist study, released just last week, found that a general search for inspiration from the decade ranked 32nd on the 50 most-Googled costumes this year. Without a doubt, one of the most recognizable — and grisliest — men’s getups tied to the era is the pinstriped suit and clear-ish rain slicker worn by Christian Bale in American Psycho. 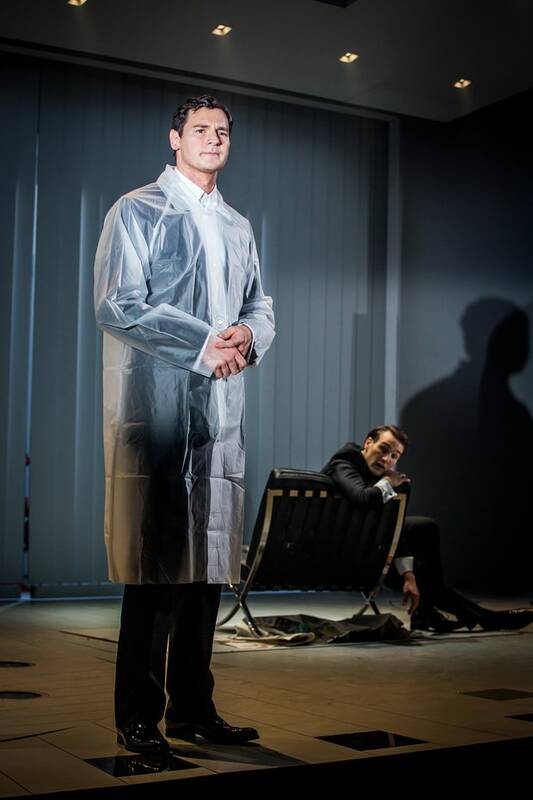 For those who haven’t seen the film, Bale (who plays an obsessively depilated, murderous Gordon Gekko-in-training named Patrick Bateman) dons the slightly opaque piece of outerwear to protect some expensive tailoring from blood spatter during one of the film’s many gory homicides. And while it would be easy to complete your own Patrick Bateman costume with one of those throwaway ponchos high schools hand out at unexpectedly misty soccer games, you can now get something much, much closer to the one worn in the film. 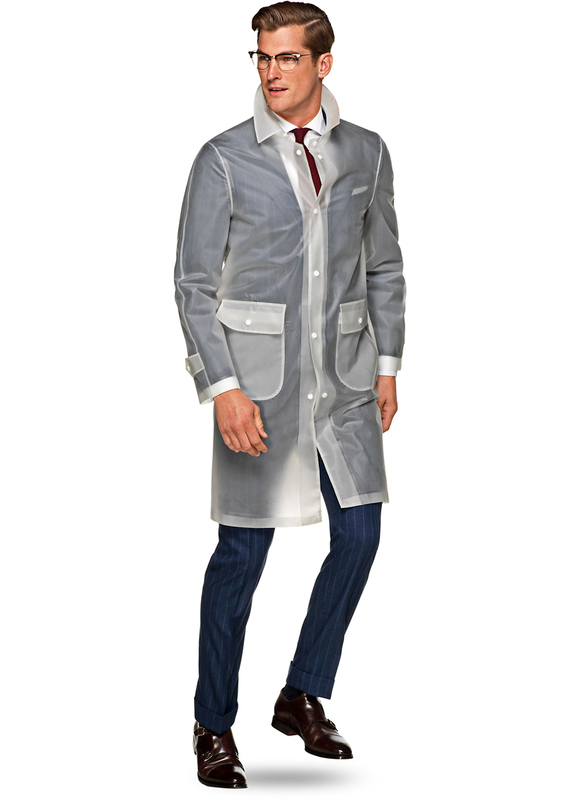 Suitsupply, the Danish tailoring authority, recently released a limited-edition raincoat made from a transparent acrylic material. The designers there took the slightly boxy shape of the original and tailored it slightly, giving it a single vent in the back and the precisely finished internal seams you’d expect to find in an elegantly lined wool topcoat. This version also preserves the white enameled buttons and patch pockets seen in the movie — and not even the one worn in the recent musical version of this thriller had those. Of course, with all this details, this jacket doesn’t come cheap. Rising masters of the universe might not balk at spending $499 to lend a costume some spooky verisimilitude. (The scariest ones are always those that look realest, aren’t they?) But everyone else mulling over this purchase should consider that this jacket is one of the rare Halloween costume components that you can keep wearing long after your neighbors throw away their jack-o-lanterns.